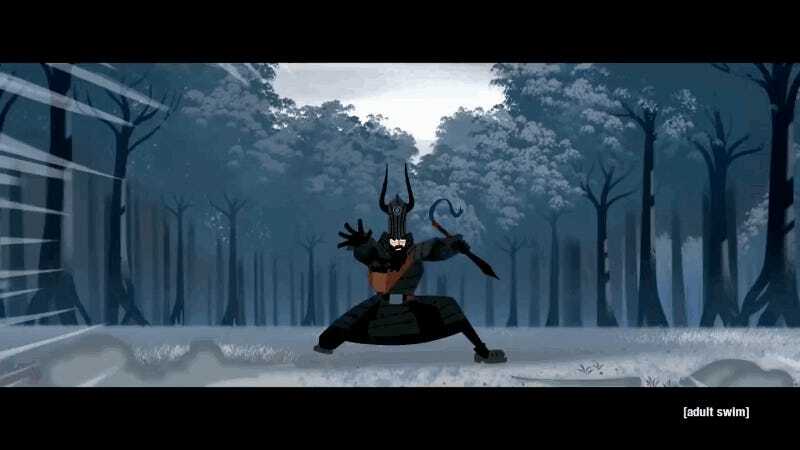 Since no one put up a thread last week, I’m putting this up for the second episode of the highly-antipated 2017 return to television of Genndy Tartakovsky’s brilliant fantasy/sci-fi/spaghetti-western/time travel/demonic sorcery/killer robot/way of the samurai American anime epic called Samurai Jack. Just that descriptor alone lets you know how unique this show is. And that’s only the tip of the iceberg.It originally aired from 2001-2004, and garnered 4 Primetime Emmy Awards, 6 Annie Awards and 1 OIAF Award, as well as eight additional nominations. If you haven’t seen this show, then you owe it to not just to yourself but also to your loved ones and your “family of all ages”. You can stream the original four season run of 52 episodes if you like or jump right into the final season here. After an amazing and absurd wait of nearly 13 years, Jack is back with the fifth and final season. I don’t know about the rest of you, but I am so giddily happy about it. This fifth season is what Serenity was to Firefly. It is the original creator, getting as much of the band back together as possible, minus, of course, the dearly missed and very talented Makoto Iwamatsu, who voiced the villain Aku before passing away a couple of years after the original series ended. I want to get this first reaction thread up and running because I know, in my heart, or possibly in the upper left region of my spleen, that a lot of you out there also loved this show, and if you’re not watching it now for some reason, I must encourage you to give it a chance to see an ingenious animated tour de force. A review might I write later. Fallen asleep just writing this a few times have I. Speaks like Yoda, yes, hm, to be appearing I am. For now, I just want everyone to be able to share their thoughts. I have far too many to state right now, but I hope I will be physically able to write something about the first two episodes before the third one airs.